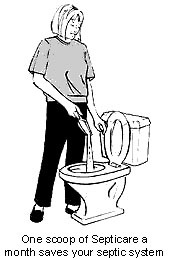 If septic odors and problems are plaguing you, you need SEPTICARE! Septicare totally digests ALL waste solids from your septic system, including oils, fats, greases, proteins, starches, fruits, vegetables, papers and more! Guaranteed—in writing to keep your septic tank working with like new efficiency for as long as you use it or your money back! America’s Best Septic Tank Product! 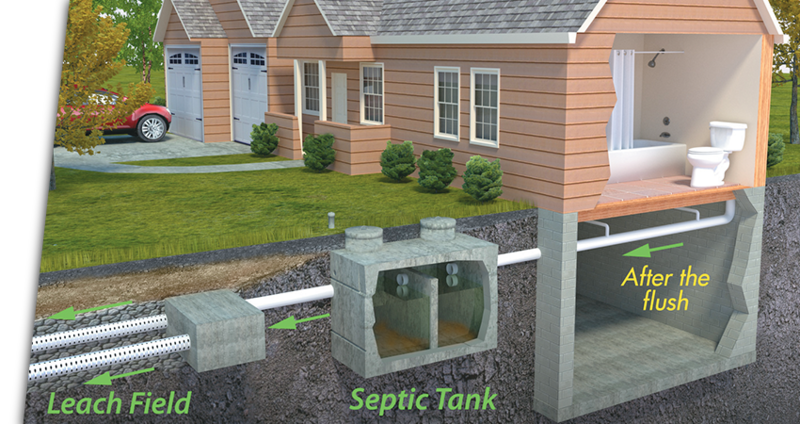 Years of research has proven that SEPTICARE is the most effective septic tank maintenance product that money can buy. When used as directed, it takes care of unnecessary backups, clogs, pump-outs, leach field replacements and any other problem related to the malfunctioning of your tanks, saving you hundreds—even thousands—of dollars in repairs. 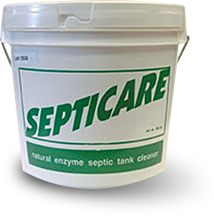 SEPTICARE puts your septic tank back in balance using hundreds of billions of fast-acting, natural bacteria and enzymes. The enzymes act as a catalyst, increasing the fermentation process when coming into contact with organic waste. It liquefies and purifies the matter in your septic tank system, recycling the various wastes back to the soil, air and water from which they were formed.